It’s Yoga ~ It’s Sailing ~ It’s Adventure ~ It’s YOUR Time! 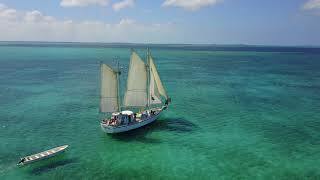 Experience a true sailing adventure on the only tall ship in the Abacos, Bahamas! We are celebrating our 18th season with over 200 groups having been on board for this amazing experience. And 92% of our groups return to sail with us again….and again! The cost is $1,200 per person for the charter. This is a 6 day charter arriving on Friday and departing on Thursday. We try to keep the cost of this trip as low as we possibly can. We understand it is a financial commitment for each family/person. As of July 1, 2018 the Bahamian government doubled it’s VAT tax. It left us no choice but to cover that added expense in our price. This price includes: Private Yoga Instructor, Private chef, the best Captain and guide (seriously he is), all the delicious food, coffee, tea, juices, sheets, pillow, one shower towel, wash cloth, high quality snorkel gear, fishing gear, ice, fuel, and 4% tax we have to pay to the Bahamian government. What is NOT included: Your round trip airline ticket, Bahamian departure tax of $37— sometimes this tax is already paid in your airline ticket so ask your airline carrier), taxi from and to the airport ($18 or less each way depending how many people you have in your taxi ), paddle board rental for SUP yoga (which is optional to participate) = $40, sodas, alcoholic beverages, and one evening meal ashore at one of the island restaurants. Group Size: A minimum of 7 people are needed to book a charter week and our maximum is 10 people. You don’t need to put the group together. We will put together the group from those that request that specific week. This will be a great way to make lifelong friends! You fly into Marsh Harbour, Bahamas on Friday, the beginning date of your charter, and you will fly out the following Thursday. 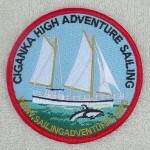 Ciganka will be ready for her crew to board at 2:00 PM on Friday. Your departure time should be by 12:00 noon the following Thursday. Food: We believe delicious food is an important part of your experience on board. And Linda loves to cook! After morning yoga there is always a large plate of fresh fruits, yogurt, nuts, cereal, juice, coffee and tea along with an egg dish of the day. Lunch is a scrumptious surprise that will keep you happy and fortified for the afternoon activities. Our evening meals are Ahi Tuna steaks, grilled Mahi Mahi, NY strip steak, lobster, and some kind of chicken dish depending on the mood of the chef. A fresh dessert will finish this outstanding meal. We do ask that the crew takes turns in helping with the dishes. You have access to snacks, dried fruit, nuts, and chocolates all day every day. You will have one evening on your own to enjoy some delicious local food in a restaurant. Please be sure to fill out the “Food Form” so we can cater to your dietary needs as best as we can. In the Bahamas we are somewhat limited in our food choices but we will do the best we can. Showers: You can use our inside or outside shower. Air Conditioning: We do have air conditioning but reserve the use of it for rainy weather when we have to close all the hatches and windows. We are sure you realize this week is an outside/outdoor adventure. Sleeping arrangements: We have 3 staterooms and the center of the ship is a big bunk room that sleeps 7 people. Often people choose to sleep outside in our hammocks enjoying sleeping under the stars. We have 4 hammocks. No worries – you will be comfy! Where are the Abacos, Bahamas? 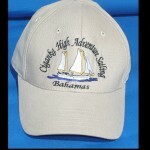 The area that your sailing adventure will take place is in the Abacos, Bahamas. The Abacos are a cluster of islands in the Northeast area of the Bahamas islands located due east of West Palm Beach, FL. The beauty of where we sail in the Abacos is that it is protected by a necklace of islands that blocks the ocean waves and swells. We get the wind for great sailing but none of the big uncomfortable seas. And the coral reefs you will dive are some of the best in the world! Come and enjoy this paradise with us! 4 Responses to "Yoga Charter Information"
Hey Chicko…a friend of mine and I have been talking about the yoga cruise. If you start putting together another group, would you let me know? It’s a dream of mine to sail with you and Thomas and it would be so great to see you after all these years!!! When is the next retreat scheduled for? Thank you for your interest in our Yoga & Sailing Retreat. We have three weeks available. You will be sailing and living in the Bahamas aboard Ciganka, a 78 ft. steel sailing ship, complete with your own private yoga instructor, chef, and Captain on board. It will be unique yoga getaway unlike none other! Please feel to email us with any and all questions. We would love to have you on board! Just wanted to follow up again to let you know we still have space available on our Yoga & Sailing Retreat in the Bahamas for the week of April 15-21st. We’d love to have you on board for this amazing week! I have copied and pasted the links here for your convenience.